New Delhi: The Uttar Pradesh government has not allotted land for two projects in Congress party chief Sonia Gandhi’s constituency Rae Bareli even three years after they were cleared by the Centre, a top Planning Commission official said on Monday, asking not to be named. The proposals for setting up a unit of the pharma research body National Institute of Pharmaceutical Education and Research, or Niper, and a centre of National Automobile Testing and Research Infrastructure Project, or Natrip, in the constituency, were cleared by the Centre three years ago, the officer said. The total investment for the two projects was estimated at Rs600 crore, he added. “The state government has not handed over land for any of these projects...the concerned ministries have followed up with the state government but they are not cooperating. This is nothing but petty politics," he said. 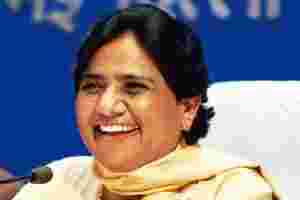 The Bahujan Samaj Party, or BSP-led government, headed by Gandhi’s bete noire Mayawati, came to power in the state in May 2007. Prior to that, Mulayam Singh Yadav’s Samajwadi Party was in power since 2003. This disclosure by an official of the apex Plan body comes just two days after the state government’s controversial decision to withdraw a land allotment on Sunday for a rail coach factory in the constituency, which was stayed a day later by the Allahabad high court, indicating that the political stand-off between the Congress president and Mayawati is taking a toll on development and jobgeneration initiatives in Rae Bareli, a district south-east of state capital Lucknow. “It is very sad that when the Central government takes up development projects that would give employment to people the state government starts behaving like this. I don’t think it is a proper step to politicize development projects," said Jitin Prasada, a Congress leader and minister of state in the Union steel ministry. On Tuesday, the Congress president, during her visit to Rae Bareli, lashed out at Mayawati and said that there were at least eight such schemes for the state for which the Centre had issued clearance but were blocked by the state government. Senior BSP leaders Shahid Siddiqui and S.C. Mishra were unavailable for comment.